I was lucky enough to win a copy of Evans’ novel, The Last Roundhead, in a competition just before Christmas. So I began to read as soon as I received it, finishing it just a couple of days into 2019. I must admit I was a little wary about reading a novel based in the English Civil War again, as the ones I have read have set the bar seriously high. And I was even more wary that this one is told from the perspective of a Parliamentarian. But, this novel blew all of my expectations out of the water and smashed that bar to pieces! This book tells the story of Blandford Candy, a young soldier who fights for Parliament in the English Civil War. He’s young, impulsive and not at all like what you would expect a roundhead soldier to be. And it’s wonderful, making you love the scoundrel right from the outset, when an older Blandford begins to look back on his wartime shenanigans. The story itself is told mainly in first person – something you don’t often see anymore – and it really gets you hooked into Blandford’s story. You understand his feelings. You understand his mindset. And it’s written so well that the story flows wonderfully. This novel is fast paced and full of exciting moments that make you want to just keep reading. It certainly is a page turner full of murderous plots, romance and scheming. Evans has done a remarkable job and let me tell you, I cannot WAIT for the next book! Here we are again – saying goodbye to one year and welcoming in another. As always, I’m continuing with my yearly tradition and writing a year in review post and…what a year it’s been, not only in my history career but in my personal life as well. The first big event of 2018 was our trip to Rome, in the first week of February. What a trip it was – we spent three full days squeezing in as much of that gorgeous city as we possibly could, visiting places we hadn’t been before and seeking out places that were linked to the Borgia family. Some of my favourite places from the trip include the Castel Sant Angelo, seeing Vanozza Cattanei’s gravestone listing the names of her children, the Borgia apartments and the Salita dei Borgia. 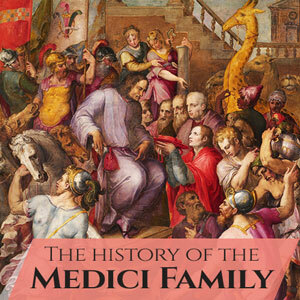 March saw the release of my course on the Medici family over on MedievalCourses as well as being on Truce, a podcast, talking about Girolamo Savonarola. In April I was signed off sick from the day job for a couple of weeks and spent the time visiting local museums – I visited the Solent Sky Museum, Tudor House and the SeaCity museum. The visits certainly kept me busy and it was so nice to explore some of the historical sites in my hometown. During the May bank holiday, my partner and I decided to take a walk across the city and head to Netley Abbey. If I ever say I’m walking there again, someone PLEASE stop me! We did have a wonderful day out, though – the ruins of Netley Abbey are utterly stunning and very peaceful. We also spent a good few hours wandering around the Royal Victoria Country Park where I was particularly taken with the cemetery. I also booked my very first author talk! I turned 30 in July and, following a rather messy night out a few days before, I spent the actual day getting a new tattoo! It’s become something of a birthday tradition to get inked on my birthday so, for my 30th, I got a very special tattoo done – Cesare Borgia’s signature! August was, on a personal level, a month of incredible highs and incredible lows. My little brother got married at the end of the month and we had an absolutely wonderful time – I was so proud of him and my sister-in-law. It was a gorgeous ceremony in a beautiful location in Falmouth. But unfortunately, the morning after, my grandfather suddenly passed away in his sleep. He’d had a brilliant day at the wedding and had been so chuffed to see his first grandchild get married. Rest in peace, Grandad. I love and miss you. As 28 September rolled around, during two weeks where I’d been signed off work (again), I gave my very first author talk at Southampton Central Library. The nerves were very, very real but I had an absolute blast giving the talk and will certainly be doing more in the future! October saw my favourite event of the year – the Winchester History Weekend! It’s always an absolute pleasure to attend the talks given at this event and this year we booked to see Dan Jones & Marina Amaral talk about their new book “The Colour of Time” – they discussed how Marina coloured her photos, how Dan Jones discovered her, the process behind writing the book and let me tell you. It was awesome. We had the chance after the talk to meet the both of them and, funny story, when it was my turn to get my book signed Dan Jones looked at me and said “I know you from the internet!” and asked how the blog and writing was going. Both him and Marina are absolute sweethearts and it was an honour to meet them both! We also said goodbye to my Grandad in October – I travelled up to Leamington Spa for his funeral. It was a very emotional couple of days. On the day I got back from Leamington Spa, I went ghost hunting! Two friends and I had booked a night at Tudor House Museum in Southampton with the Paranormal Adventures team so, after a quick nap when I got home, off I went to meet them from work (as I was still signed off at that point) and we went ghost hunting! What an experience it was – a lot of very creepy things happened, including one of my friends seeming to channel the spirit of a young lady, a very intense Ouija board session and some creepy goings on up in the attic! Now, I’ve been somewhat quiet here during the last few months of the year. And that is because I’ve been spending a lot of time concentrating on my current work in progress. It’s been an uphill climb however now I can see the light at the end of the tunnel. The first draft is VERY close to completion! So I should hopefully have more news on that during the first few months of 2019. 2018 has closed on a very sad note, however. On Saturday 22 December we said goodbye to our beautiful grey chinchilla, Cesare. The poor mite had been unwell for a while and dragging his back-end, struggling to go to the toilet. A xray showed a strange white mass which both the vet and specialist couldn’t identify. It was down to my partner and I to research what it could be and we discovered that it was 99% likely to be a kidney stone. By this point our boy was far too weak and would not have survived further x rays or even surgery – when we noticed he’d been passing blood in his urine we made the very difficult decision to have our boy put to sleep. Cesare had such a personality on him and really was the sweetest of boys – his passing has certainly left a hole in our hearts and this festive period has been difficult without his craziness. Love and miss you, Cesare. I’d like to wish each and every one of my readers a Happy New Year – thank you for all your support this year, you’ve been wonderful. Stay safe tonight and here’s to a happy and prosperous 2019! I’ve read a hell of a lot of books this year – and surprisingly a lot of them this year are novels! I’ve been on a bit of a fiction kick this year and it’s actually been wonderful – a nice break, as it were, from the heavy non fiction books that come with research. That’s not to say that I haven’t been reading non fiction, because of course I have. So my top ten books of 2018 are going to be a bit of a mix! This wonderful novel is set during the reign of Savonarola in Florence, and let me tell you….it’s bloody brilliant! Russo’s writing style makes this book so easy to read and you can really tell that she’s put her research in. Highly recommended. If you love historical romance novels then this is a book for you. Romance novels aren’t normally something that I would read, let alone enjoy, but this book really is a diamond in the rough and it’s one that kept me up seriously late in order to finish it. Wonderful writing and brilliant characters – a joy to read! This book. Oh my God. This book. Lev’s biography of Caterina Sforza has become my bible on this remarkable woman. If you want to know about the life of one of the Renaissance’s most powerful and courageous women then I HIGHLY recommend this book. I’m a huge fan of Dr. Ramirez’ work and this book is just brilliant. 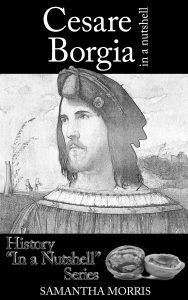 It’s scholarly, yet easy to read and chock full of wonderful information on a group of people from history who don’t seem to have had all that much work done on them. 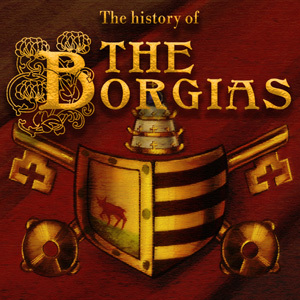 The Stuart’s are another fascination of mine and a very close second to the Borgia family. So when I received this book on Christmas morning last year I was VERY excited, and it was cracked open literally that day. This book is absolutely wonderful. Lisle has really done her research and put together and excellent biography of King Charles I that gives the reader a balanced view of a man so often tarred with the name of traitor. Definitely check this book out! This is a book that everyone needs to read as it delves into the beginnings of a family who went on to found one of the biggest royal dynasties in history. It’s wonderfully researched and is another book that is an absolute joy to read. If you’re interested in knowing more about where the Tudors come from then definitely check out this book! Riddle of the Runes is Dr. Janina Ramiez’ first foray into the world of fiction. It’s a children’s book but let me tell you….I absolutely devoured this tale of mystery in the Viking world. And I cannot WAIT for the next instalment. Highly recommended for both young and old alike! Marie Antoinette is another woman in history who absolutely fascinates me and I will quite happily devour anything about her reign and the awful Revolution that ended up taking her life. This book is a wonderful account of a scandal that only helped to bring about her downfall. 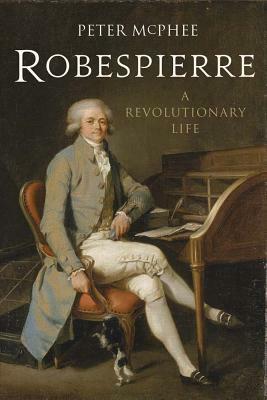 This truly is a fascinating account of a scam that blackened Marie Antoinette’s name and the book is full to bursting with information on pre-Revolutionary France. Highly recommended and one I will definitely be re-reading! This book has to be my favourite novel of 2018. Toni Mount’s books are always absolutely brilliant but this book? This book has set the bar even HIGHER. The fifth installment of the Sebastian Foxley tales is a story set once again in Medieval London with murder and intrigue blighting the lives of our hero and his family. Mount weaves history with fiction seamlessly, bringing to life the streets of Medieval London and the lives of its inhabitants. A novel that is electric and emotionally charged – everyone needs to read this book, and the entire series! My book of 2018 has to be The Colour of Time by Dan Jones & Marina Amaral. This book is chock full of re-coloured photographs and information on some of the most important moments in history 1850-1960. The work put into doing those photographs is insane and I have so much respect for Marina Amaral for taking on such a task. Those photographs, added in with Dan Jones’ text on the history of what is shown in the photos, make a book that everyone should read. Literally, everyone. It’s a book that will end up pulling people into history and that will spark an interest in it and that? That is brilliant. 100 years ago, at 11am on 11th November 1918, the guns on the Western Front fell silent. Today we commemorate those who lost their lives in not only the First World War, but others in conflicts both past and present. As tomorrow marks the 100th anniversary of the Armistice, I thought I would repost a little something I wrote on one of the First World War’s most famous poets, Wilfred Owen. Owen was sadly killed in action just one week before the guns on the Western Front fell silent. Wilfred Owen, a man whose name is synonymous with War poetry, went out onto the front line in 1917. By this point, thousands of troops were already suffering from what was known as shell-shock, a condition that had become more and more prevalent after the Somme offensive the previous year. Whilst it was a recognised condition, there were still many in high command positions within the army that believed it was simply a method of shirking. Wilfred Owen hadn’t been in the front line for very long by the time his nerve gave way. As a second lieutenant in the 2nd Manchester Regiment, Wilfred had a position of great responsibility and believed wholeheartedly in looking out for his men – going so far as to crawl across no man’s land during heavy shell fire to check on men of his in another outpost. During the period of 13-21st April 1917, Wilfred was in the front line in Savy Wood. He fell asleep one night on a wet railway bank within the wood when a massive shell exploded close to his head and sent him flying into the air. The officer that Wilfred mentions in this letter, Gaukroger, had been killed on 2nd April. According to Wilfred, pieces of his body lay “in various places around about.” It was this time spent with the rotting body of his comrade that was one of the main reasons Wilfred suffered with shell-shock. In another letter, now lost, Wilfred mentioned that it was his duty to leave the area at around midnight. He stated that he moved across to where the French were based and knocked on the door of their HQ to ask if all was okay. After which he was answered by a simple grunt! The Manchester’s were finally relieved on 22nd April and made an 8 mile March to relative safety of Quiviéres, where the men were to billeted in cellars. During the rest, it soon became clear that Wilfred was suffering after his ordeal at Savy Wood. On 1st May, when Major Dempster took temporary command of the Manchester’s, a comment was made that Owen had been ‘observed to be shaky and tremulous, and his conduct and manner were peculiar, and his memory was confused.” Dempster then made an insinuation that Wilfred was cowardly – a cutting remark that hit Wilfred exceptionally hard. The very next day he was sent to the Medical Officer, who sent him to 13 Casualty Clearing Station at Gailly which had become a specialist hospital. To start with, Wilfred wrote home with long and cheerful letters as a way of suppressing what had happened. It may have been relief at getting away from the Front that caused him to act in such a way. There is a rather lovely story of Wilfred getting into the back of an ambulance to go to Gailly and being asked his name, only to discover that the one asking his name had been one of his school-mates from the Shrewsbury Technical. By the time Wilfred reached 13 CCS (his second visit there), the blanket name of Shell-Shock had been taken over by that of ‘neurasthenia’ – thoughts on the illness had been re-evaluated after the Somme and it was now a recognised form of mental illness. However there were many who still saw sufferers as cowards, which comes through in one of Wilfred’s most famous poems “The Dead Beat”. I’ll murder them, I will. “That scum you sent last night soon died. Hooray! The poem itself, as can be clearly worked out, is about a soldier suffering with shell shock and the attitudes towards the conditions. It was seen by many as a way of malingering, a coward’s way out of the war. He, the soldier in the poem, is laughed at by the stretcher bearers and orderlies who believe the soldier is having them on, that he’s faking all of it. Yet there is an incredibly irony in the whole thing – a man suffering because of the horrors of war is being labelled as a dead beat, as scum. And rather than being in conflict with the German’s on the opposite side, he’s in conflict with his own men who believe him to be a coward. This poem seems to be Owen’s reaction to the way neurasthenia was thought of by those from the earlier days of the war who believed that shell shock was indeed the coward’s way out. And it is certainly a hard hitting poem. As a sufferer of neurasthenia, Wilfred’s main symptoms were the violent dreams. These dreams were often used as imagery in his poems, something that he was encouraged to do by the doctor who treated him later at Craiglockhart. Other systems he had were trembling, a slight stammer and a feeling of suffocation – many of these symptoms, Wilfred had already experienced during his younger days. His symptoms, and the way his neurasthenia affected him can be picked up in his poetry, with his description of dreadful faces and phantasms. He also describes things that actually happened to him, such as a gas attack and a sentry whose eyes bulged in fear whilst trapped in a dug out. Wilfred’s doctor at Gailly was a man by the name of William Brown. Brown’s methods of treating neurasthenia were much different than other treatments at the time – he required his patients to TALK about what had happened to them and often used hypnosis as a way of getting them to talk about their experiences. He used this as a way of identifying the experience that proved to be the breaking point for his patients. Brown often also used a treatment known as abreaction, which made the patient live through their experiences again until the original event recreated itself in such a vivid manner that it often had the patient flinging himself to the floor in tears. It certainly sounds like an awful way of doing it, but it seems to have worked for many. Wilfred, however, seemed to be happier talking about his experiences than most – so much so that just one week after arriving at the CCS he was able to tell his sister that it was sheltering amongst the remains of his comrade that had caused his breakdown. On 6th June, Wilfred and the other patients were evacuated away from Gailly and taken to a hospital near to La Havre. On the 16th June, Wilfred sailed to Southampton and then found himself at the Welsh hospital of Netley. And on 25th June, Wilfred went before a medical board where they noted that Wilfred had a highly strung temperament. He was marked as unfit for service, and issued a transfer to the hospital of Craiglockhart up in Edinburgh. Craiglockhart had been set up as a shell shock hospital in 1916, to help deal with the onslaught of cases after the Somme. Up until that point it had been a hydropathic hospital – the amenities of which were still available to the soldier patients, although by all accounts in poor working order. When Wilfred first entered the hospital, after taking the overnight train from Kings Cross to Edinburgh, he would have recognised a fair few of the patients who would have been with him at Gailly. One can only imagine the embarrassment of seeing old comrades there – as an officer, Wilfred was supposed to be strong. He wasn’t supposed to be seen as weak, rather he was supposed to be seen by his men as one who couldn’t be touched. Wilfred more than likely felt like a failure in such a situation. Wilfred Owen was registered with neurasthenia upon arrival and given his first appointment with the man who would help him to work through his troubles, Dr. Brock. It would be at Craiglockhart where Wilfred Owen would write some of his best known poems and make one of the closest friends of his very short life – Siegfried Sassoon.